Christian Ross – Purveyor of Awesome | This is the end, the end my friend. For many, I am a dream seatmate on a flight. I stay contained in my own space, I rarely get up to use the restroom, I don’t order copious amounts of food or drink and I’m usually either silently fading to the sounds of my headphones or pencil deep into my Moleskine jotting random notes of my thoughts and surroundings. You should only be so lucky to find me waiting patiently when you arrive. My only request is that you return the favor. Last week’s trip was like many of my others, solo-flight with time to write. And so I did. While I have a notebook full of trip data, they usually don’t make it into digital form or even light of day. I might go back and read through my ramblings from the flight down there and see if they’re worth taking the time to dictate, but for now I plan to just share the notes from my return flight between Managua and Houston. As with previous trips, the trip itself found very little time to write. I did do a couple of online sessions at .NET & Twitter to try and keep those back home updated. This morning was the earliest of all wake-ups this week and one of the few to actually need an alarm. There were no bus horns or tamale salesman @ 5:00am to offer their help in the waking process. I’m not exactly sure if I’ll have the ability to collect & process my thoughts for the week. My seat on the flight to Houston is supposed to be 26A (window) but I have opted for 26C since my row is empty. Much better than the trip down. There will be stories to tell for a while & hopefully times to collect more stories in the future. I am pretty convinced that if you’re willing to take the first step in venturing out to another country for work such as this, you’ll leave knowing another is in the future. I’m not ready to concede that I could do full-time mission work but I do think I could foresee a time where there is more than just a yearly scheduled trip. You want a reality check? Visit Nicaragua. Or Honduras, Mexico, Ethiopia, Kenya, India, Malaysia or any of the hundreds of other places we Americans label as 3rd world. Remember to check everything you know about life in general at the departure counter with your bag though before you board the plane. We will never fully know what it means to be in the situation we are. In poker terms, we just flopped a pair of aces while while pocketing the other two. There isn’t much in terms of hands that will beat the kind of lifestyle we have been afforded. And the fact is, even if we get the “bad beat,” we have such a better chance of scoring a full house or a flush on the next hand as compared to any of the countries mentioned above. So why is it then, next week when I return, will I know full well the kind of hand I’m sitting on but still complain to the dealer about it not being good enough? Because I’m affluent, prosperous & comfortable. On Monday, I will return to a ritual of visiting the park & sharing donuts with my favorite guy on the planet. And for lunch I’ll mentally complain about having to eat another sandwich for lunch. But you know what Geoffry in Apanas will eat for lunch? He doesn’t know either. And Sunday night when I hop in my red Jetta that I complain about the fact that I still haven’t received the title to, I will drive the four miles to church while Harold will walk the same distance to his. And when I complain about the temperature in my house either being too warm or too cold, I won’t remember that 97% of the world doesn’t have the ability to do anything about it. Now if I’m truly honest with myself, even in my “rough” accommodations in Jinotega I was still affluent, prosperous & comfortable. I still had running water, floors made of materials other than dirt, a bed to sleep in, three square meals & access to fresh drinking water. Even in the toned-down accommodations of the Mision, I was still far better off than the people I was there to serve. Let me remind you of Bertilda, who I mentioned briefly in my writings this week on .NET. For two days during my stay, I helped in the process to build her a new home. On the first day I was informed that the only thing that would be done would be to pour a foundation for the walls, erect the walls and put a meager tin roof on top. No flooring, no windows, no plumbing, no electricity, no AC or heater. Bertilda is retirement age. In the US we’d get shamed out of town for providing such a poor service/accommodations for our elderly. In Nicaragua we do it out of necessity. As mentioned previously, Bertilda runs the risk of a similar fate of a house recipient before her. The previous recipient was afforded the same treasure and was given a house that was actually furnished to a decent extent. Again the result? A son who stepped in at the end of the process with the deed to the land and papers to have his mother removed from the property so that he could claim his prize. And Bertilda? Instead of being down about the fact that we were building just a shell of a place, she hopped on the back of a motorcycle (cane & all) every morning to ride out to the job site, sit in the hot sun and glory in the name of God as to the construction of her new home. Truly something I will never understand from the position I’ve been dealt. How many times have I heard, seen, sung about & used the term God Bless America? Have I really ever stopped to think about whether he blesses everyone else? I am selfish. And I do believe that God does bless America but its time to let the world (and myself) know that he truly desires to bless them as well. Financially speaking, the people of Jinotega, Apanas & Yanke will never know the wealth I live with daily but Spiritually speaking they NEED to know that they are afforded the same gift that we all have easy access to. The gift of a God that loves them and the gift of a Savior that pardoned their sentence. Knowing full well that this is the “mountain top” experience or that my spiritual rubber band is pulled tight, my prayer is that I don’t forget. And that mission Sunday or traveling slideshow presentations won’t be ignored this time around. 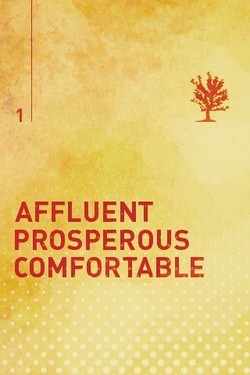 I am Affluent, Prosperous & Comfortable but even more than that, I’m Saved. Your checks are appreciated in mission work. Your willingness to join the ranks alongside won’t be forgotten. By you or the mission. From this one non-filtered, pencil-scribbled notebook’s author, I’d urge you to go. The Bible I read gives you the command to go, not to stay. Ask every person on this plane ride home and I bet you’ll get the same answer. I’m going back. Hopefully sooner rather than later. Awesome post, Christian! I’m so glad you were able to go, but very glad to have you back! I’m very proud of you! Gracias. You gonna be ready for the next trip? Reading this reminded me of the immense weight I felt leaving Honduras several years ago. My Dad grew up there; his parents were missionaries to the country. It was Dad’s dream to take me and my brothers there some day. I don’t think I could ever go back. It was just to hard to leave things they way they were, and I don’t think I could subject myself to having to leave ever again. It’s protectionist and irrational, I know, but I’ve never been able to shake it. Thanks for sharing this, Christian. I’m really glad you had this experience. You’ll never be the same, I’m sure. Eric, thanks for sharing. How long were you in Honduras for? Also, have you or your father been following any of the presidential issues they are having right now? We were only there for about 10 days. My Dad has been back countless times since. Yes, we have been following what’s going on in Honduras. I’m actually a little confused as to who’s done what and who’s in support of who. I hope that it all shakes out peacefully. I’m a little confused as well. While we where there, the Nicaraguan government shut all of the borders with Honduras to commercial traffic but but let us know we were still in good shape. I asked a few of the locals for their take but they really aren’t too sure on who should be in charge either. I also agree, the peaceful option would be the best. If you ever feel like giving it another shot, I’ll keep a seat on the plane warm for you.